heavy duty GORILLA DUCT TAPE and SCISSORS. 1. Cut a 4 inch piece of duct tape. 2. Cut a notch about 1 1/2 inch on one side. 3. Cut a notch about 2 inches on the other side. 4. Fold the flap of tape to it self. 5. Fold the dogs ear inside out. 6. 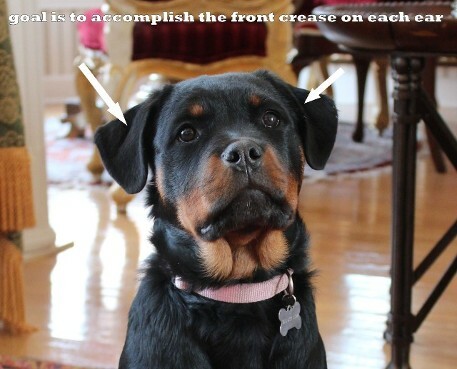 Stick the smaller sticky side to the dogs ear at the highest point possible to the head. 7. 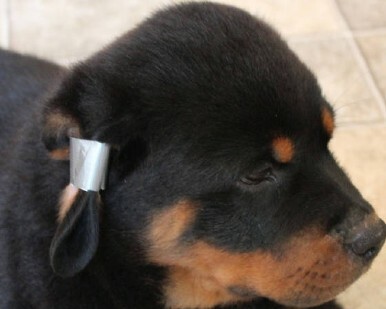 Wrap the tape around the ear until it sticks to its self. 8. 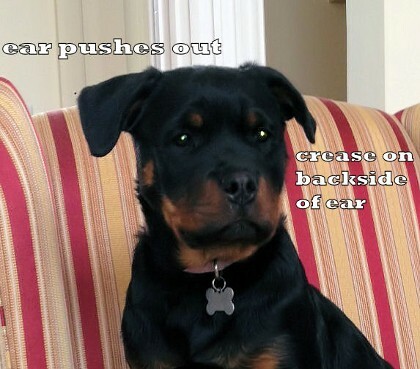 Pop out the ear. 9. ear will lay now forward and the crease should show. 10. Leave the tape on for one week and check. If the ear still creases then retape the ear for another week. 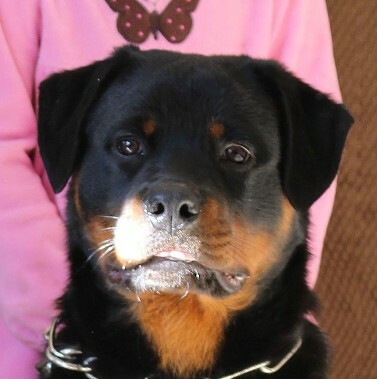 This dog below is a perfect example for fixing ears. There is 2 problems. (looking at the picture) The left ear is to far from the head. The right ear has the crease starting to fold on the back of the ear, cause the ear to "fly out" away from the head. Taping both ears will fix this problem. 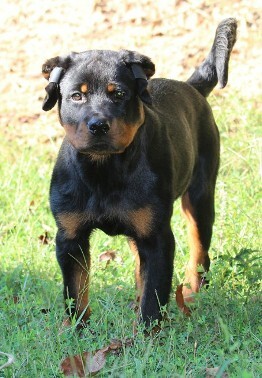 The Rottweiler puppy to the below was a actual dog I taped. I Personally took the before and after pictures. This is the best way I have come across to fix almost every incorrect ear set. The Tape was on for a total of 2 weeks, and you can see the hair is completely still there.